I didn’t know the flowers are edible, I’m going to try them and look forward to the funky texture in a sandwich! Chives are one of my favorite herbs. The greenery is attractive, the flowers are wonderful, and being able to use fresh snipped chives from early spring to hard frost is a pleasure that should not be missed. I agree- and they are so easy, that everyone should have some. I love the idea of a chive lawn. If only they could take the same abuse as grass….. I know my dog would destroy it all in seconds, though. Oh well, I’ll have to stick to weeds for now and just imagine how cool it would be to have a field of chives instead. And is there anything than waltzing outside, humming, followed by paws and whiskers, to snip enough chives to make a baked potato perfect? Thanks for the compliment-and my paws and whiskers follows me around too. 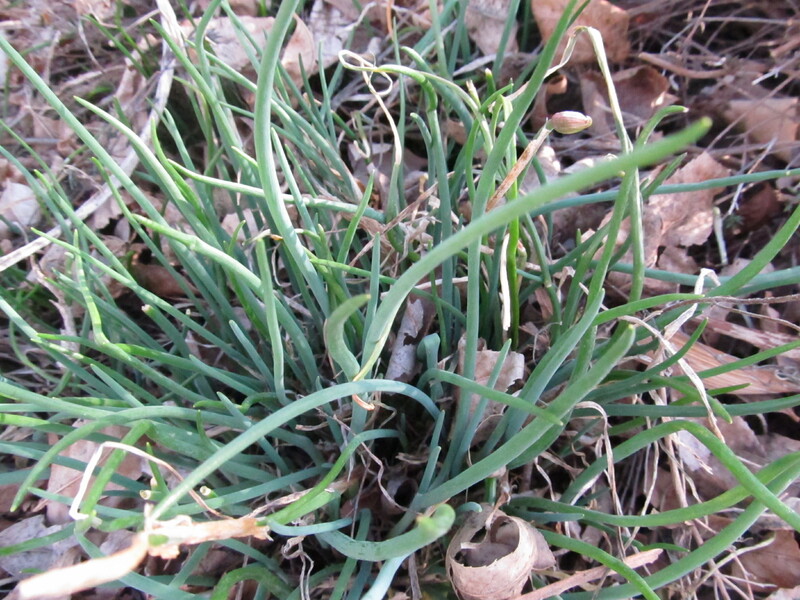 I have a chive plant that has been perennial in one of my big out door pots for ten years now. I plant violas around it in the early spring for a great first flower display of the season. I also have several clumps in the yard that I divide for inexpensive housewarming presents all spring and summer. Pretty, edible and easy to grow are words that are music to my ears. The housewarming gift thing is a good idea.The other nice thing is it doesn’t seem to care about sun or shade.